We have now had a Keurig for about two years and it is wonderful! We love that we can have our hot (or cold) beverages anytime any way without worrying about an old pot of coffee or a blend one of us dislikes. The kids can even have hot chocolate within seconds of us making our evening tea or coffee. 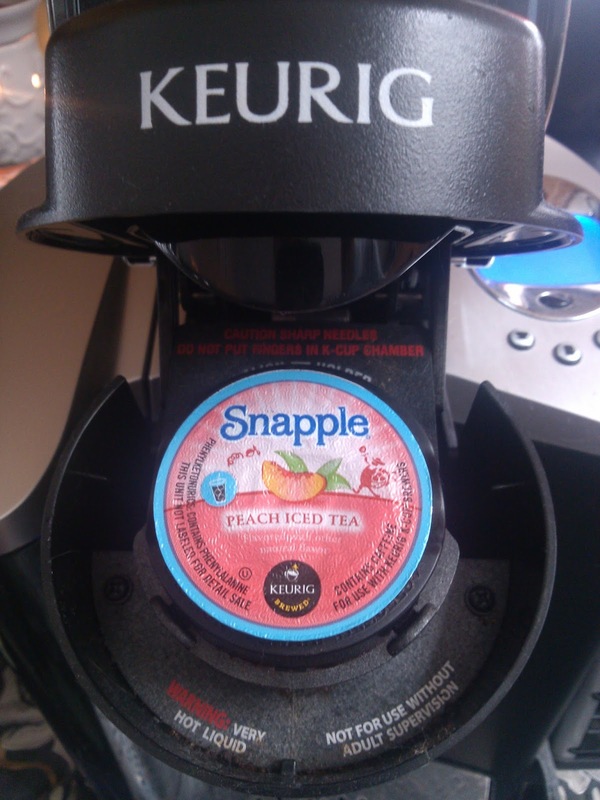 The Keurig allows everyone to have exactly what they are in the mood for each day and in only a few moments! I am a huge fan of iced coffee so when Keurig recently contacted me to introduce their Brew Over Ice Promotion, it wasn't anything new to me! But for those of you who were not aware, your Keurig can do more for you that just make hot chocolate, tea, coffee! I hate being stuck with the same old thing and Keurig allows me the freedom to change it up everyday. 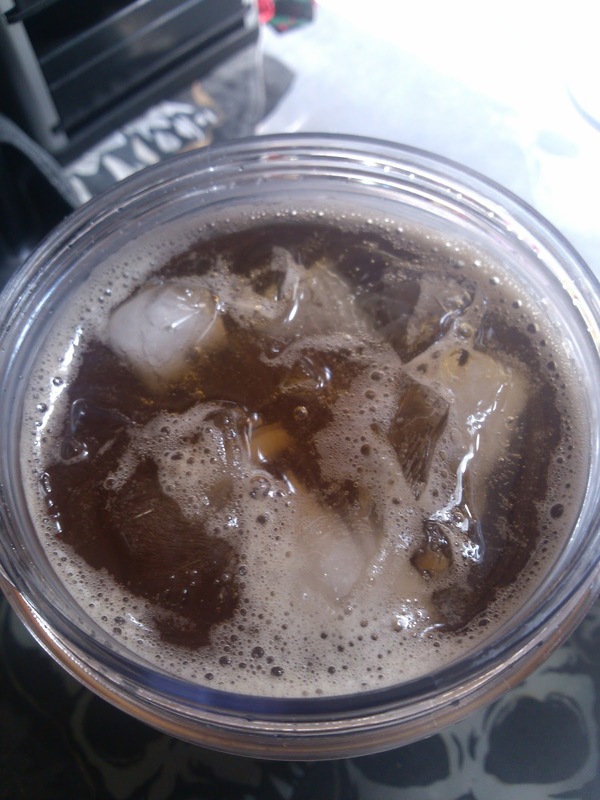 Keurig pod makers can also "Brew Over Ice" to make things like iced coffee, iced tea, lemonade, or fruit brews (which taste similar to a vitamin water). 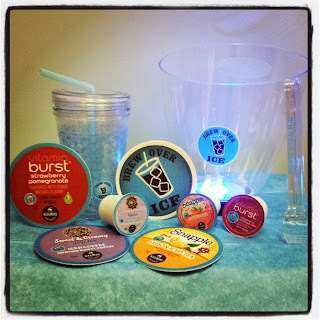 My family was thrilled to receive a variety of these iced products to review! 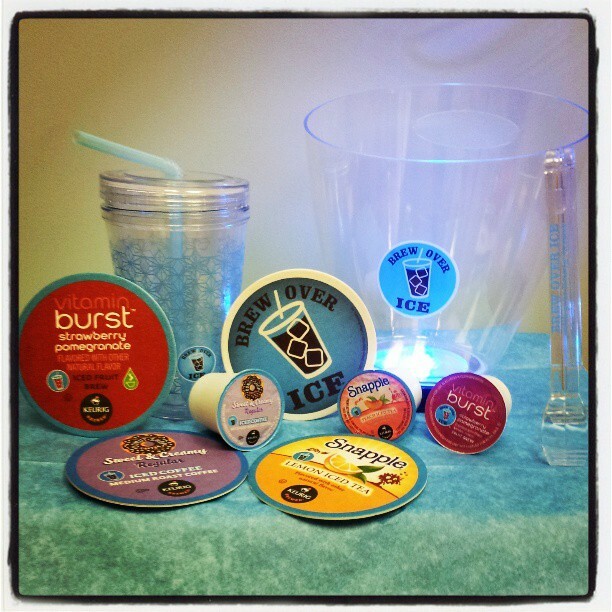 We were sent over 3 Brew Over Ice K-Cup® samples, a Brew Over Ice tumbler, 4 Brew Over Ice coasters, plus a Brew Over Ice light-up ice bucket and tongs. 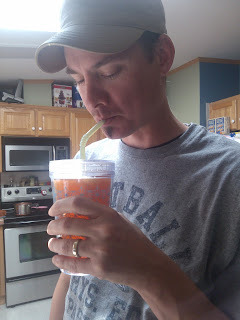 Being that my husband and daughter are from Georgia, they were extremely happy to find a Snapple Peach Iced Tea K-Cup and volunteered quite quickly to be the first to try it! The process is ridiculously simple! Just fill your 16 oz. tumbler with ice, select your K-Cup, and brew. The flavor was anything but watered down and instantly seems to have us hooked on all of it! The intense flavors were amazing especially for something made in my own home! 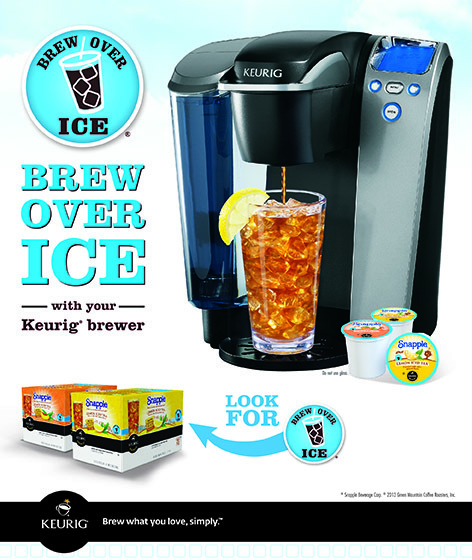 Right now Keurig has several opportunities for you to try out their Brew Over Ice products and to win additional prizes. 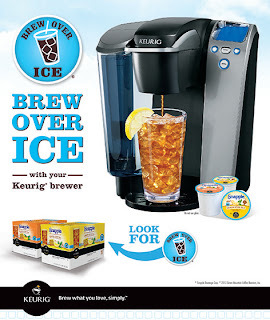 You definitely want to check out the "Brew Over Ice Sweepstakes"
Recommendation: If you own a Keurig, not only is this a great variety of products but its what you need to keep things creative in your household. 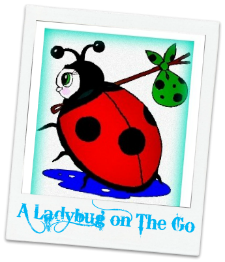 Giveaway: Keurig is going to give one of A Lucky Ladybug's lucky readers a 3 Brew Over Ice K-Cup® samples, a Brew Over Ice tumbler, 4 Brew Over Ice coasters, plus a Brew Over Ice light-up ice bucket and tongs of their own! Love to have coffee flavored with vanilla scoop over it.